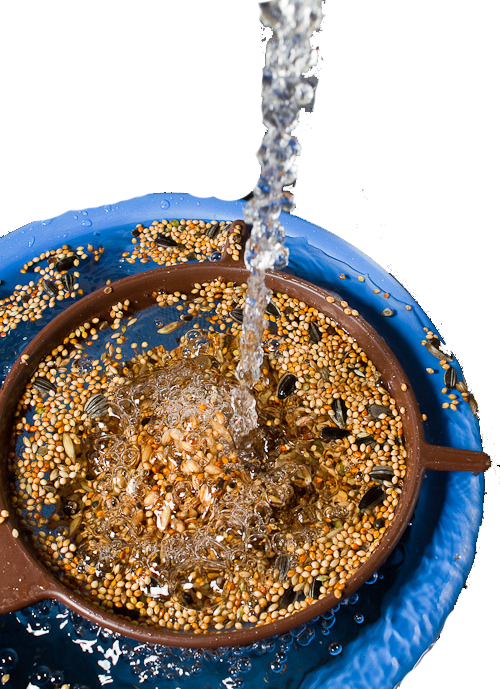 TThere are probably one million methods to prepare sprouted seeds, ....at least as many methods as bird breeders. In no way we would say our way to do it is the only correct way to do it. This method works for us and our birds and indeed many other people now use it as well - with good results but of course it is not the only way to success .... if it aint broken don’t fix it. 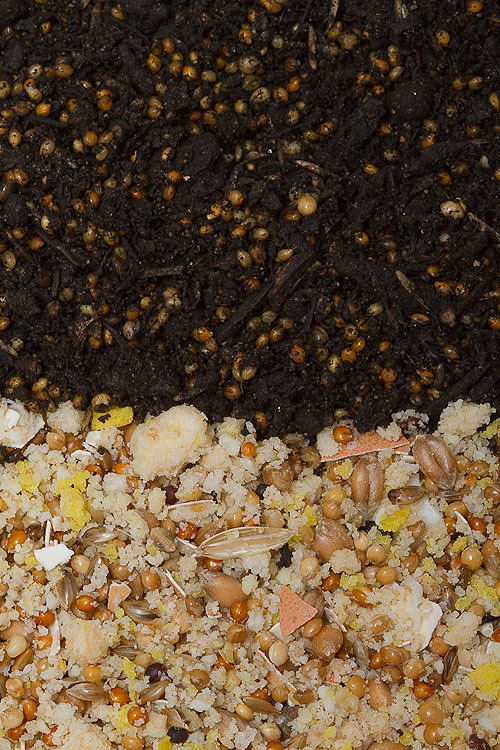 First we need a good seed mixture which is suitable for sprouting, as our food supplier offers various seed-mixtures which are tested for germinating we go the easy way and use one of this mixtures. The first step is soaking the seeds in water for roughly fourtoo seven hours , this is usually enough for nearly every seed-type. If they seed sit too long in the water they actually only take up water but will not sprout. Now we mix, the still very wet seeds, with either peat or if we can get it Ferkelwuehlerde ( a sterilized soil for raising piglets). We mix until we have a nice moist mixture, which should be moist but not wet and sticky. If the mixture is to dry we add a little water if it is too wet just add more soil. 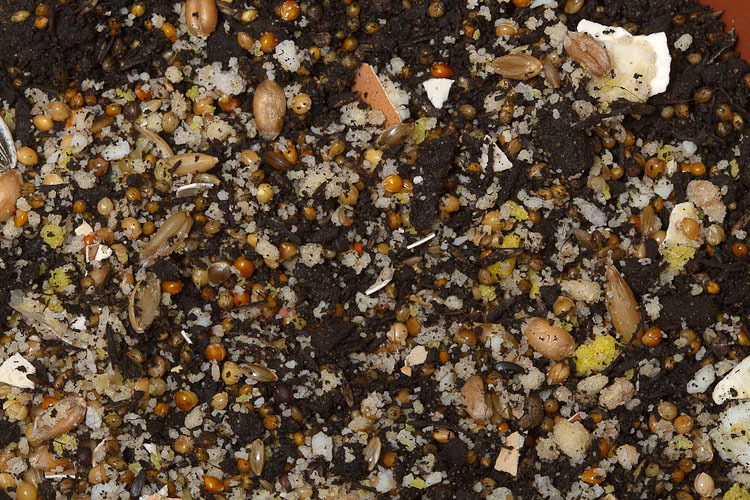 The soil-seed mixture now goes to a warm place and after another 12-24 hours (depending on the temperature and the type of seeds) the first seeds will start to sprout. This is exactly the point the seeds are most nutritious, and they are ready to be offered to our birds. Normally we produce so much that the supply lasts for a week, the seed soil mixture can easily be stored in the fridge. 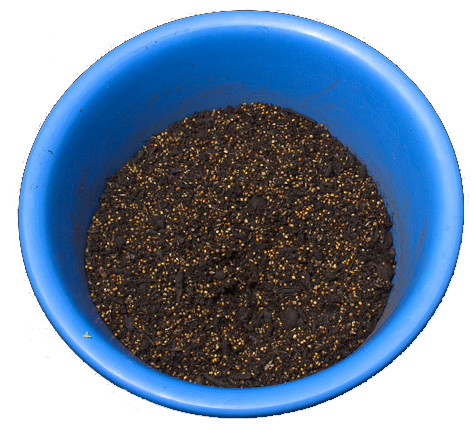 We also mix our frozen insects and egg-food with the soil/seed mixture but in this case we feed the mixture twice per day. To feed egg-food which went bad is always a recipe for desaster so it is better to be safe than sorry. 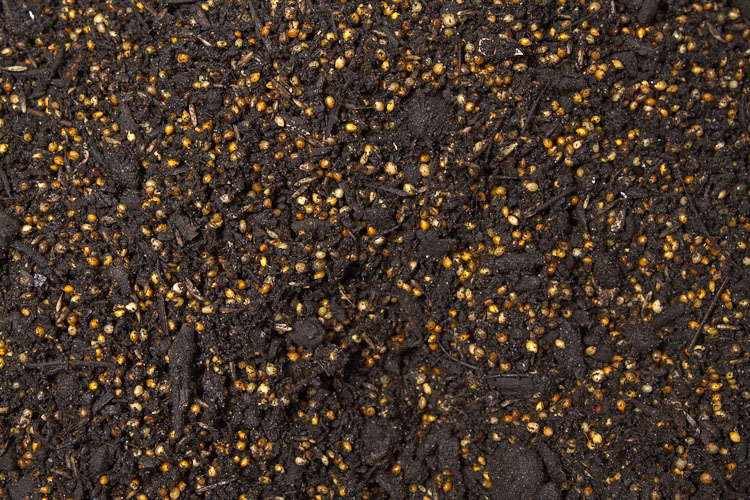 If you want that the birds work for their food increase the amount of soil. This method works in particular well with species foraging on the ground like most Twinspots, mamy Waxbills and Firefinches as well as Firetails. Be careful to remove everything at least on a daily base. 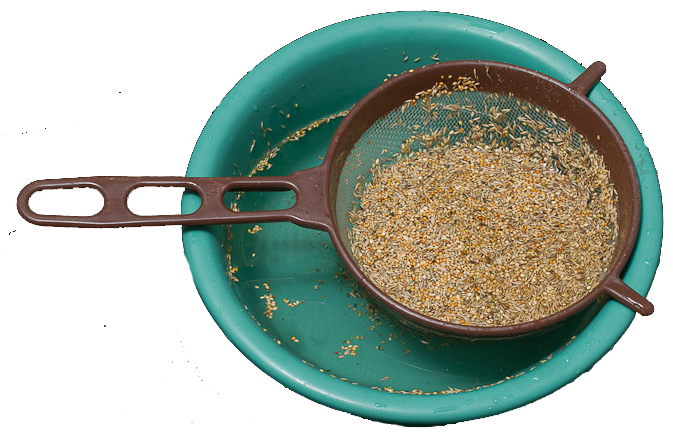 we offer the mixture in a large flat dish so that the birds really can search for their snacks. It helped a lot with species known for throwing out their chicks and starting another clutch. So if you have this kind of birds you may give it a try .... their endless methods for success maybe this one for you an your birds as well.